"Okay fellas, I'm gonna talk a whole bunch. Then, lunch at Hooters on me." 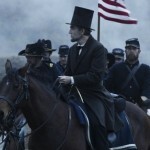 It’s difficult to determine whether Steven Spielberg’s Lincoln plays as earnest historical drama or straight-up Oscar bait. The truth probably lies somewhere in the middle. Lincoln is the type of big-budget film that has “epic” written all over it, filled with an overabundance of speaking roles, period set design, and dramatic conflict — satisfying all the checkboxes for a non-thinking awards voter. For many of the rest of us, Lincoln is just too much, a pressing, melodramatic attempt to take its own place in film history as a capital-A Achievement. Thank goodness, then, for Daniel Day-Lewis. Surrounded by the costume-drama tone and supporting players who run the gamut of onscreen talent, the superb lead actor is an anchor of calm and control, giving the film the air of believability it sometimes thirsts for. The importance of Day-Lewis’s presence here can’t be overstated. 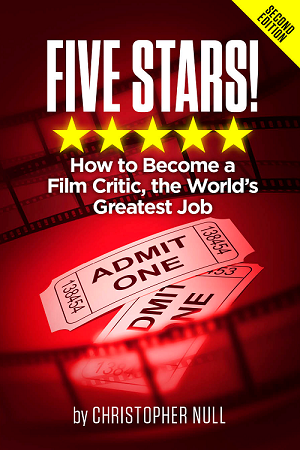 If you were bored by the persistent year-end accolades that came the actor’s way, tough. They were deserved. Day-Lewis’s portrayal of our 16th president takes place during the latter portion of the Civil War, focusing on Lincoln’s tireless drive to achieve a near-impossible task: End the war while simultaneously making slavery illegal by way of the 13th Amendment to the U.S. Constitution. It’s a tightrope act that his own cabinet doesn’t understand, and his Secretary of State (David Strathairn, in an entertaining turn) finds futile. The much-admired screenplay by Tony Kushner explains the challenging scenario, repeating it and turning it around over and over, weaving in the political wrangling, backdoor negotiating, and guerrilla bribing. It’s an impressive level of detail, and the film is littered with notable players to fill in all the slots — John Hawkes and James Spader are particularly enjoyable as conniving influencers working on Lincoln’s behalf. But there are instances when Kushner falls in love with his own work, dragging on a monologue or stacking layers of information, a seeming display of historical expertise on behalf of the screenwriter. It’s too easy to get stuck in the weeds of Kushner’s words. 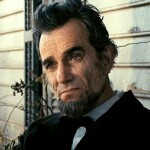 Early in Lincoln, as the President lays out his plans for his confidants, the film becomes an unexpected chore. Not only do we keep up with what feels like an unnecessarily lengthy presentation, but Spielberg’s lovingly slow dolly shots and zooms act as dramatic manipulation, pushing us to be as enamored with the scene as the director himself is. John Williams’s predictable composition just makes it worse, the music reminding us of the gravity of the situation. Check, yeah, we got it. At least Spielberg pulls off some long takes to let Day-Lewis do his thing, the man certainly knowing a masterful performance when he sees one. And he also excels in orchestrating the film’s most electric sequences, the meaty, insult-laden debates that take place on the floor of the House. 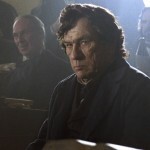 The re-creation of these arguments, especially with the wry Tommy Lee Jones spewing knockout lines as Thaddeus Stevens, is worth the cost of admission, the real reason to see Lincoln. Not for battle scenes (there aren’t any, really). Not for Sally Field’s surprisingly stagy performance. And certainly not because the movie was nominated for a bunch of Oscars.